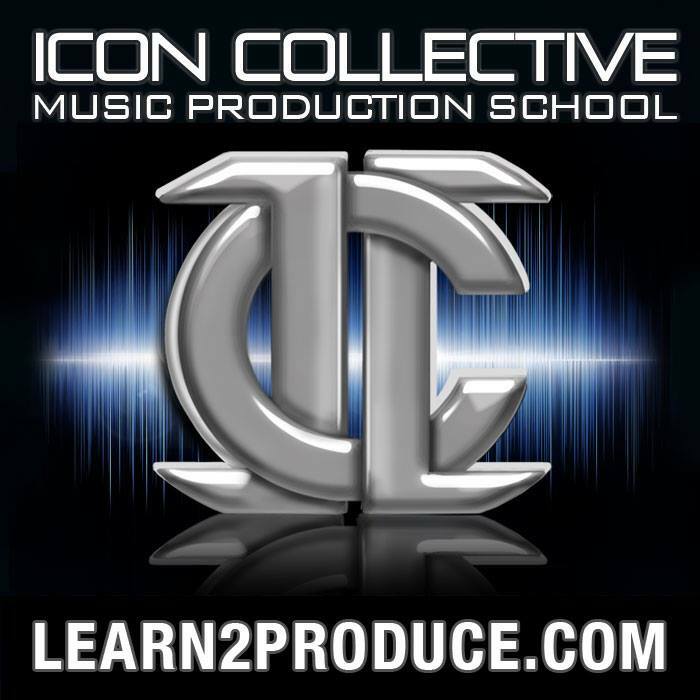 The Recording Connection is an organization that offers up alternatives to traditional music education routes by placing students in recording studios to learn from seasoned engineers and producers. As a part of the bigger entity known as Recording Radio Film Connection (RRF), the school has received all kinds of feedback from the music community, and in an attempt to learn more about it, I had a chat with its COO, Brian Kraft. Hi Brian. Can you tell me about how you got your start in the entertainment industry, as well as the educational one? I started off by working for Warner Brothers Records in 1989. I worked in the music video department under John Beug, a legendary record executive, and Yvonne Troxclair. I got that job in very much the same way we train our students to get jobs today. I didn’t go to a fancy college or have any connections; I just knew that I wanted to be in the music and film business. So I cold-called Warner Bros everyday for weeks until they accepted my call. They were like, “Kid, you gotta stop calling “, and I was like, “But I really want to work there. Just give me a chance to prove myself, and I will “. So after much trying, Yvonne finally said “Come in at 8pm on Tuesday “. All the odds where against me. I had long hair, no suit, didn’t have an official connection, and wasn’t even invited in during business hours. She most likely wanted to school me on what not to do when looking for a job, and that’s actually how the interview started. She was like “You can’t call here everyday “, and that type of thing. But by the end of the interview, I had a job working as her assistant. I worked at Warner Bros for many years and since then have always been in the music or film business as either an assistant who worked his way up to executive positions, or in a creative capacity. For example, I worked on The Sopranos for two years in New York as the assistant to the production designer. I got all my jobs through knocking on doors and convincing people that I was an asset to them. I’ve offered my service for free multiple times in my career, going up against people who were way more qualified than myself, but because I was persistent, I was able to burrow past gate-keepers that were thought to be unbreachable. With regards to the Recording Radio Film Connection, it started for me ten years ago when I was directing a mockumentary film called the Brandon Corey Story. One of the producers was called James Petulla. We were on set one day, shooting in front of Big Ben, and I asked him what he did besides producing. He told me about how he was helping kids break into the entertainment business as apprentices. After that, I was more interested in James than in the mockumentary. I was already 34 years old and making a living in the film business, so I wasn’t at a point in my life where I was super hungry for a career change, but I did what I recommend others do: sell themselves as ethical and honest, yet persistent. So I asked to learn more about the company, and when we got back to the States I went to his offices where he gave me a walkthrough about it. By the end of that week, I offered to run his company for free for a month. He asked if I was crazy, but I proved that I could do it, and was eventually hired as the COO, and I’ve been here ever since. As someone who plays a key part in driving this effort, can you tell me how it’s been going for you? What kind of success, or lack of it have you been seeing ? Sure. The company was started in 1983 by James Petulla, and we’ve been going strong ever since. But it wasn’t until the last ten years that we really took off. In the latest year, we’ve been interviewed on Larry King Now and on Dr Drew’s Lifechangers, as well as having been endorsed by over 50 Grammy winners. These people know that what we’re offering is real and valuable, and that there’s no BS with what we do. Our students are put in the door of a real recording studio, radio station or film production studio from day one, and we don’t take any tuition before placing you. We’re a licensed and accredited school that gets you in as an apprentice, not as an intern. Our students also have a structured curriculum and receive free counseling, just like traditional college. They receive free tutoring in addition to the one-on-one mentoring in the studio. So to answer your question, we’re doing better than ever, because the world is in a debt crisis. You won’t have to look far to find scathing indictments of student debt, and an inability of our young people to find jobs. College and trade schools are ridiculously priced, and it’s a scam. If you’re paying $100,000, $50,000 or even $40,000 to be educated as an audio engineer, you’re being ripped off. It’s a misallocation of capital because debt accrues interest, and that can kill your dreams. And you guys offer the alternative conventional audio schools with your program? Yes. Our alternative is simple: keep our tuition as low as possible and break our students into the door of a real studio as an apprentice. You’ve got to be in the door to get a job in these industries. Presuming that you’re a hard-working person, the only thing standing in between you and your dreams is that you don’t know anybody. To be an audio engineer, you need skills and connections. Trade schools will give you skills, but they won’t introduce you to anyone. So what we have is millions of kids who can run a Pro Tools session, but won’t get hired. Not only that, but they’re also improperly trained. The only real way to be employable is to know how to work in the real world, and trade school students don’t learn how to do that. They’re taught in pretend college classroom settings. If the government is giving you what you think is “free” money to go to audio, film or broadcasting school, don’t take it, because it’s a deal with the devil. You’re going to get into debt, and you’re learning stuff in the exact opposite of the place you should be. What kind of difficulties have you had to overcome over the past decade in terms of convincing people of the program’s effectiveness? When we say that we’re going to educate you inside the studio of a real professional, as an apprentice, for 75% less money than other places, the first thing some people say is, “That sounds like a scam“. We’ve always fought that, which is why we put our students in the door first to see it for themselves, and they can even bring their parents with them. A lot of people think that having a physical campus, a security guard at the gate and doing business with the US government makes them a legitimate school. Do people question Full Sail University? No, they don’t. They think, “Look at the campus, all the security and federal aid. Full Sail must be for real“. Of course Full Sail is for real, but it’s not effective for students. Neither is SAE. In my opinion, trade schools and universities are dinosaurs. They don’t do what they should at the level we need them to anymore. Can you tell me what kind of music industry professionals endorse your program and have availed themselves to be mentors to students? One of our mentors is John King at the famous Chung King Studios in New York. Along with Rick Rubin and Russel Simmons, he launched people like the Beastie Boys and LL Cool J, and worked with the likes of Wu-Tang Clan. You can learn from him one on one at the Recording Connection. Another example is Ryan Hewitt, here in LA. He’s Rick Rubin’s engineer who’s worked with the Red Hot Chilli Peppers, Lady Gaga and Johnny Cash, to name a few. I could name drop people like that for days, but it’s more about learning about recording from someone who’s been doing this for decades. You might be with a legend, or with someone who has been quietly making a living at this for a long time. Either, you’re going to stay out of debt and learn one-on-one from someone in a studio. How do you ensure that mentors share the same kind of mentality towards students and apprenticeship as you do? First and foremost, we have the right type of experience to know who the right mentors are. When you’ve been doing this since 1983, and in my case since 2004, you get pretty close to mastering your abilities. So we know what to look for. We have a very strict vetting process that involves us meeting with mentors, looking at their studios, talking with them about their past experience, police records, etc. Following that, I have a staff of 40+ people who ensure that the mentors do what the school preaches. If the mentor doesn’t, we take action, as any school would. Also, a lot of our mentors don’t come to us with zero teaching experience. Most people who have mastered their craft have a yearning desire to be teachers. You’d be surprised at the types of people in this industry that want to give back. You mentioned names like John King and Ryan Hewitt. How do you guys balance out placing students with well-known names like that and comparatively nameless studio owners in a mostly-rural state? What we do, which is very unique, is that we ask all our students who they want to be and what they’re looking to do with their career. You’d be surprised that not everyone wants to be John King or Rick Rubin. For those who are highly ambitious and properly located, we can help them pursue that. But if you want to be the next Rick Rubin, and you live in Des Moines, Iowa, you might have a hard time. But a lot of people don’t want that. They just want to own studios and run a small business. Others want to do live sound or be DJs. Others want to do production work for films. I even have Christian rappers as students who are perfectly happy living where they do in Virginia. We even have students living in Maine who are into heavy metal. So we listen to what the students need, and then we match them with the best possible mentors in their area. If someone is willing to move from South Dakota to Nashville to study country music, then I can place him there. What’s great about what we do is that we don’t charge money upfront. Everything is done first for the student, so that they can verify everything. How does the Recording Connection break down student’s tuition to cater to their needs? Can you explain what the $8800 gets them specifically? $8800 gets you one-on-one instruction with a mentor for a guaranteed six months. But many of our students have been going for more than ten years. Once you build that relationship and handle it properly, it doesn’t end. Those students aren’t paying us, but still bring clientele to the studio. Tuition also gets you one year’s worth of job placement when you’re done, as well as the software you need, be it Pro Tools, Logic, etc. It gets you your own website, and an SEO marketing curriculum to help you market yourself the right way online. It gets you unlimited free tutoring from an off-site engineer, other than your mentor, whom you can Skype in with. So essentially you’re getting two mentors. Whatever you need, you can either come into our offices in LA or we can do it through Team Viewer in a remote session, and we’ll meet with you as much as you need within the six months after you graduate. You also get a certificate of completion, as well as ten guaranteed bonafide industry connections. These connections will come from learning in a professional studio. To be honest, what we’re offering is worth $30,000, but we don’t charge that. Given that you guys don’t place emphasis on handing out degrees, and aren’t charging fix-figure tuition fees, what ends up being the metric of success for you? The metric are the graduates who do get jobs; but we don’t guarantee them. Those are two different things. What we do is pay close attention to who gets work from us. We’re the most successful at this, simply because we put out students in the door of where the jobs are given out. Jobs aren’t generally given out on a campus. But like I said, we don’t guarantee jobs; we’d be charlatans to do that. What we’re doing is getting students in the door and guaranteeing them the education they need, and the rest is up to them. It’s your life we’re talking about after all. But as far as percentages go, 72% of your students get jobs. After reading various Internet forums and websites, I found that the Recording Connection has its share of both good and bad reviews. Do you take into account all the reviews that are given about you? People think that if you’re offering education, all you care about is money, but businesses that think that way disappear very quickly. An exception might be if you’re a gigantic bank that can do whatever it wants. But we’re not that; we need to listen to our customers. Even if we didn’t want to, we’d still have to, or we’d be out of business. So yes, we take both good and bad reviews into account, and we assess ourselves daily on how to better our offering. For bad reviews, I investigate them every time. To be honest, most of the time they don’t hold much water. In this day and age, everybody can complain and they have a public forum to do it. I can go online after our conversation and complain about you and this interview, but it would be completely unjustified. But someone who wasn’t privy to this conversation wouldn’t know the truth. Every single person who has complained about us was given multiple opportunities to succeed in our program. We can back that up for anyone who wants to see that. We will bend over backwards to make things work, and we have a very strict refund policy that we adhere to. But some people want to fail and complain. That may be difficult for some to understand, but you can’t fail with this program if you want to succeed. That doesn’t mean that we’re perfect though. I recently got a call from a student who said “I love the program, but this and that could be improved. Could you talk to my mentor about it? “. So I called the mentor and smoothed things out, and now the student is happy. There seems to be a big X factor involved in your program, which is the student’s personality. Some alumni talk about how the program worked out for them, and others who weren’t as successful complain about it. How do you deal with the fact that not everyone seems to be suited for this type of schooling? We try to vet all of our students before signing them up. We send them to their mentors, and the mentor ultimately decides if he wants to take a chance on that student. The Recording Connection isn’t the one who decides; the mentor is. They’re the professionals who tells us whether or not they think the students have what it takes to make it. But nobody is a prophet. A lot of that is based on what the mentor guesses. So most of the time we get it right, but sometime we don’t. It’s unfortunate that people are the most vociferous when something goes wrong for them. Technology doesn’t have a way to vet reviews. That’s why companies like Yelp are in such trouble with Google, because reviews aren’t very reliable when anybody can say anything. Instead of relying exclusively on reviews, I suggest go to an engineer and ask what they think about RRF. Wrapping up, can you tell me about some of the future plans for the Recording, Radio Film Connection? We just opened the Culinary Connection, so we’re doing kitchens nationwide now. We’re also developing an international Recording Connection program which will allow international students to apprentice in their home country, or come to the US and do so. Also, we have a new film program coming that has some major names attached. Upon completion of the program, we fly all our students from this program to LA to pitch their screenplay ideas to major producers. So we’re constantly evolving. I’m the COO of the company, but people should also listen to what other mentors have to say. Parents can call in and ask to talk to actual mentors across the country about the program. They can check out their discography and see that these are real professionals. Not many schools will do that for you, but we have nothing to hide, and we invite anyone to hold us to the highest test possible.